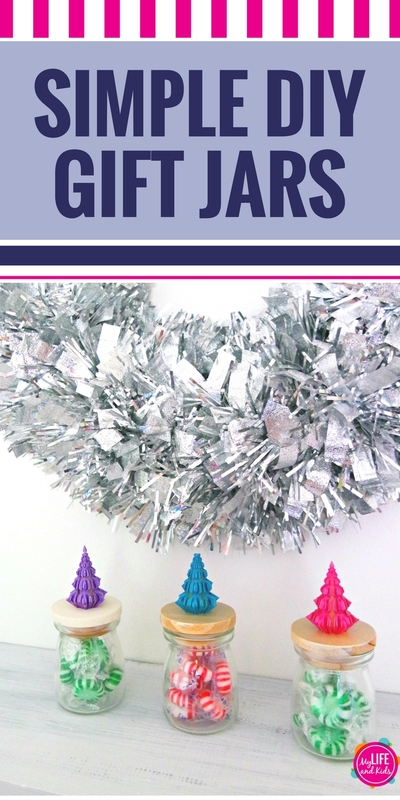 These easy and cheap DIY gift jars make perfect gifts for Christmas. Whether you’re making something for your friends, coworkers, neighbors, teachers, or just to have on hand for last minute gifts, you can’t go wrong with these simple gift jars. As an added bonus, you can get most of your supplies at the Dollar Store, Dollar Tree and the Target Dollar Bins. If you’re feeling extra crafty, craft your own toppers with a 3D printer. 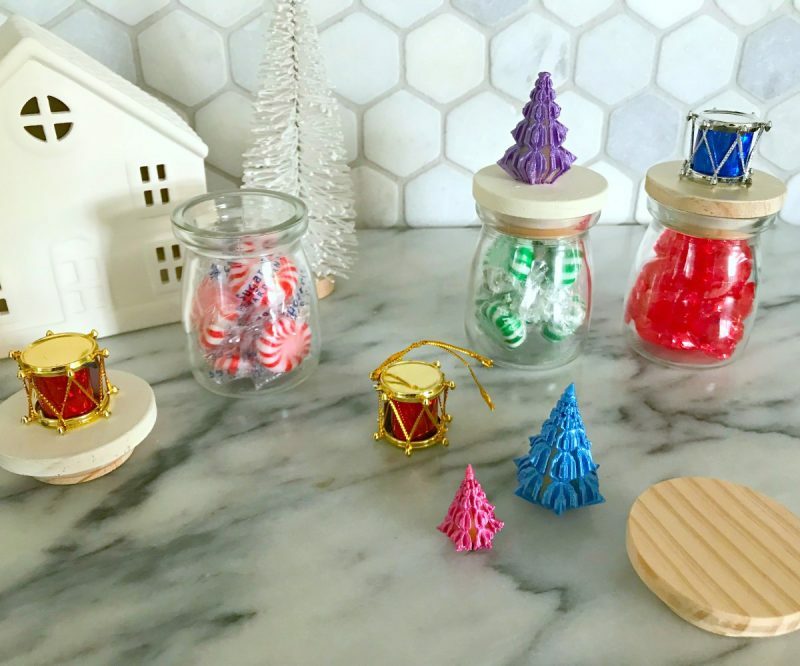 First, head to your local Target Dollar Bins, and pick up a 3-pack of these adorable glass jars. If they’re no longer carrying these exact jars, you’ll probably be able to find something similar. While you’re there, go ahead and grab one of everything. Yes, it’s possible that I am obsessed with those Target Dollar Bins. Next, you’ll want to pick up some sweet adornments for the top of your jars. You can grab some little mini trees at the Target Dollar Bins. These little drums were at the Dollar Tree, and we got a package of at least a billion for just $1. 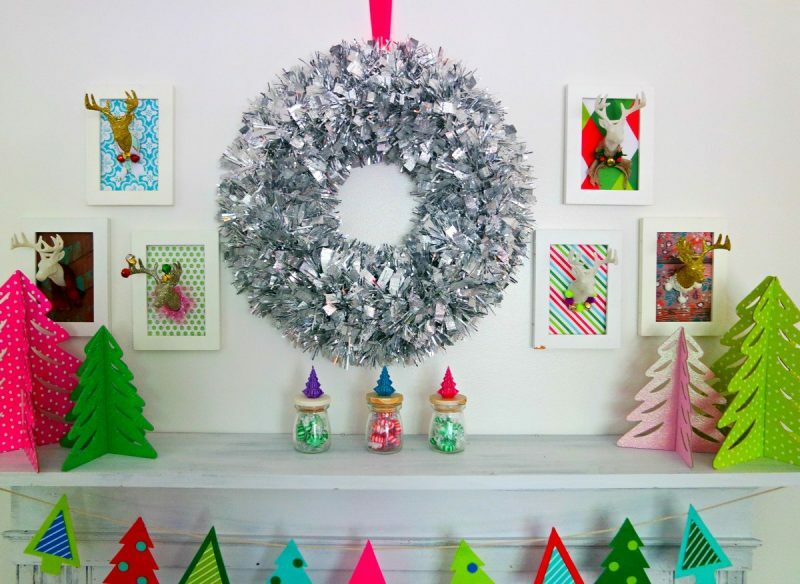 Or if you’re super fancy, AND you have access to a 3D printer, you can print your OWN trees (like the pretty trees in these pictures) and then spray paint them in all of the colors you desire. Pssst – your local library just might have a 3D printer that you can use for free! Once you have all of your supplies, you can “make” your jars. 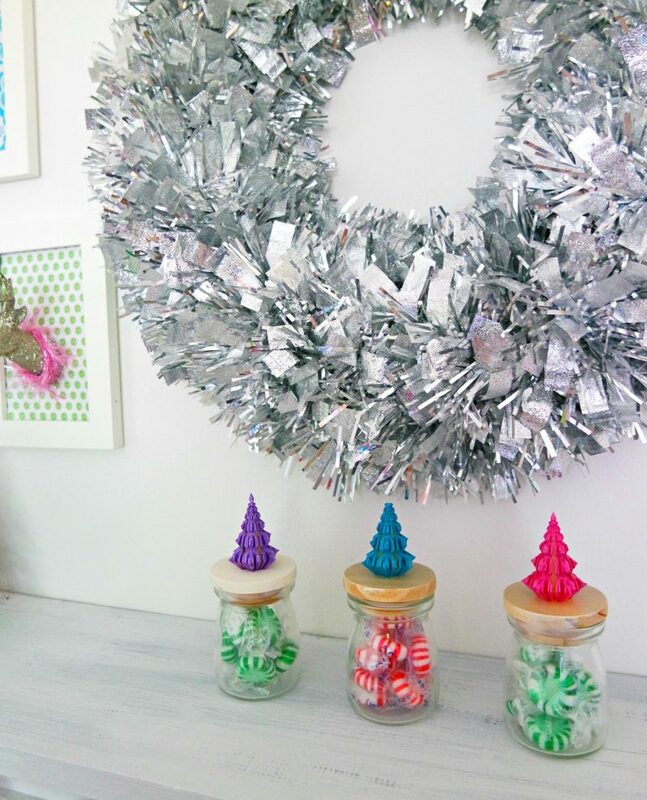 Glue the ornament of your choice onto the lid of the jar. THEN, fill the jar with peppermint candy or something else that you love. And then you are finished. They make sweet little decorations. They make great little gifts. 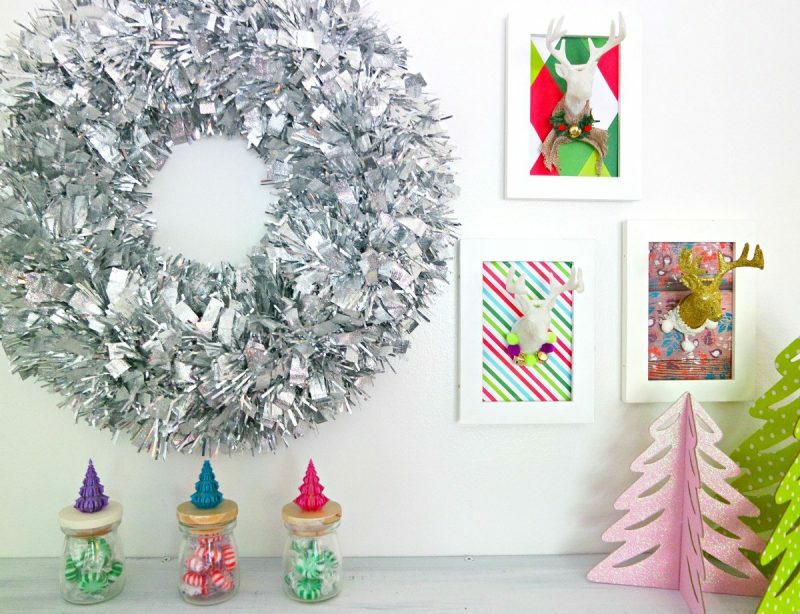 PS – Are you lusting over those framed deer head ornaments? They’re CRAZY easy to make yourself. Get the full scoop here.